Find out how good our products are by watching a demo. Find out all about our NemoFAB software. Contact us and we will resolve all your queries and questions. The volume orientation is achieved automatically by entering key measurements of the clinical exploration: average maxillar line, canine border, yaw and real vertical profile. 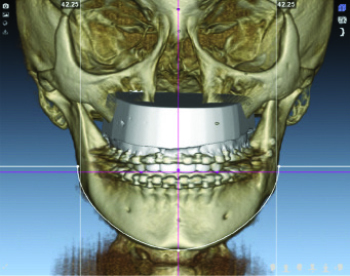 The mandibular rim is used as clinical verification. Lateral radiographies, ATM sections, overhead and panoramic analyses are produced during stage 2. These records are stored in the imaging library for subsequent viewing and analysiss. The fusion of models is a tedious and offputting process for doctors in all programs available in the market. Thanks to FAB-patented algorithms it can be carried out automatically in seconds. Surgeons now have full control over the design of osteotomies based on their own styles and techniques. 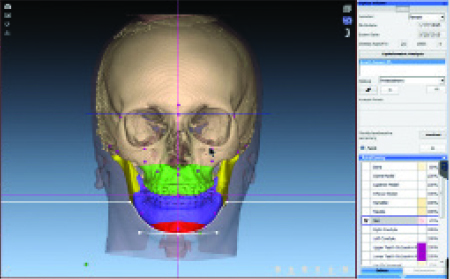 This customisation improves the prediction and precision in the surgery as all relationships within the different fragments are visible in a precise way. Total control during the diagnostics and treatment planning process. Reduced times in diagnostics and planning. The surgeon can use as much time as he believes necessary in any of the diagnostic stages and planning of treatment. The surgeon is in control. a precise and complete solution for the surgeon. The surgeon now has the advantage of being able to digitalise the volume of the scanner to an unprecedented level of precision. "Key" measurements are obtained automatically to lead the way in securing excellent results. 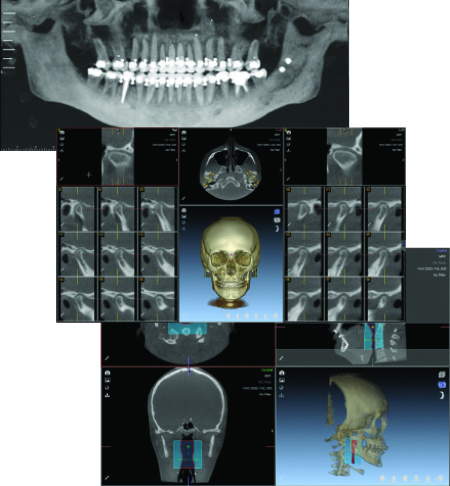 Soft tissue cephalometric analysis (STCA) and profile cephalometric treatment planning (CTP) are obtained in step 6. 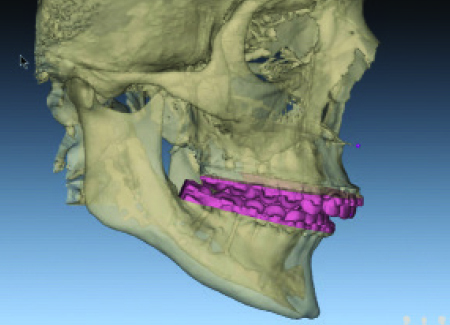 The STCA and CTP are used to complete the correction of the profile, the overhead and the occlusion. 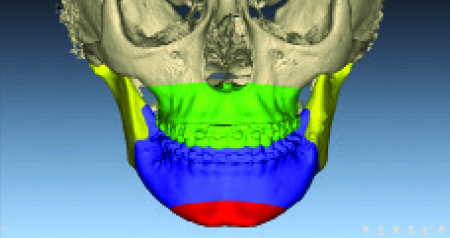 The 3D frontal and lateral planning allows us to correct the face, the overhead and the occlusion. 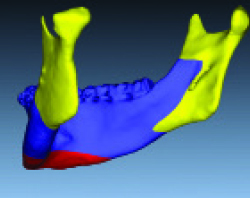 The frontal corrections are based on the results obtained in step 1 - orientation of the volume. 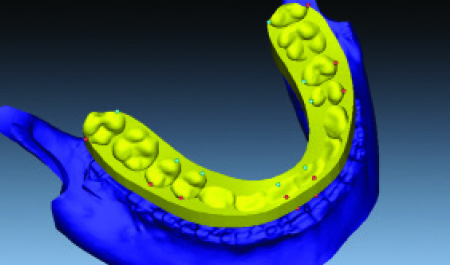 The profile correction carried out in step 6 is automatically imported into the 3D scene. In the final step, surgeons design the splints in accordance with their specifications. The splints can be manufactured at their own clinic, if they have a 3D printer, or sent to the laboratory that offers the best service. 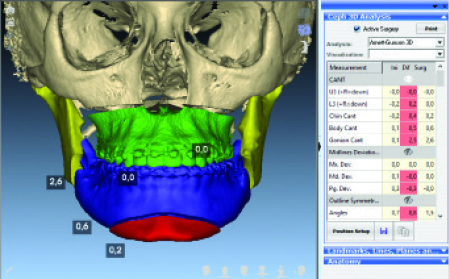 The most complete and accurate cephalometric analysis software in the market. Software for diagnostic models and virtual setup. If you have any doubts surrounding the software, ask for a no-quibble customised online demo.